l’Escalier casse-cou | One quality, the finest. 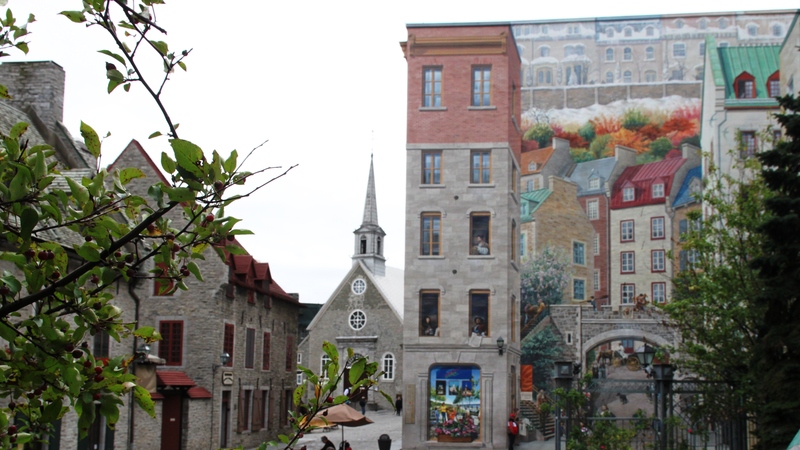 Lately, I’ve been writing about our recent trip to Québec City. 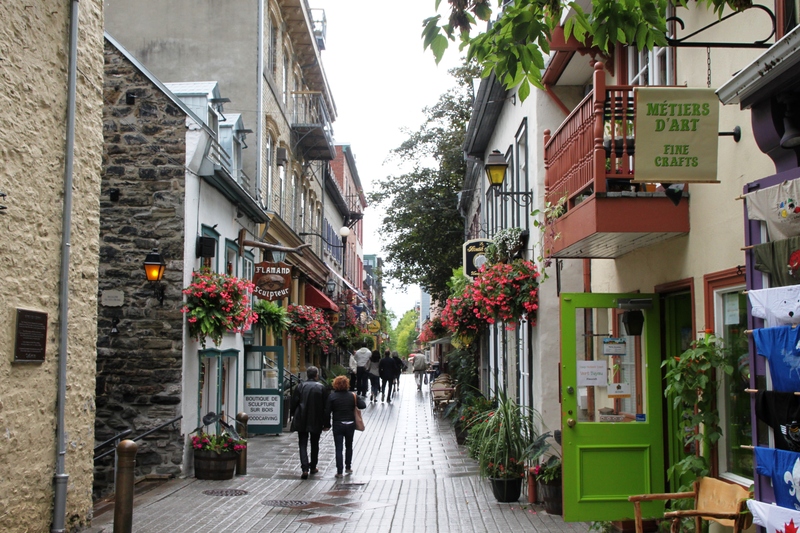 Vieux-Québec is the oldest part of the city within the ramparts. The first time I visited it, I felt like I was in Saint-Malo, due to the stone buildings and narrow streets that wend their way through town. It’s no wonder it was been declared a UNESCO World Heritage Site. The Old Town, the historic heart of the city, is further divided into the Upper and Lower Town. The two are joined by l’Escalier casse-cou (les-kal-e-ay kass koo), or “Breakneck stairs,” so named for their intimidating steepness. There is, however, also a funicular if you don’t do stairs. 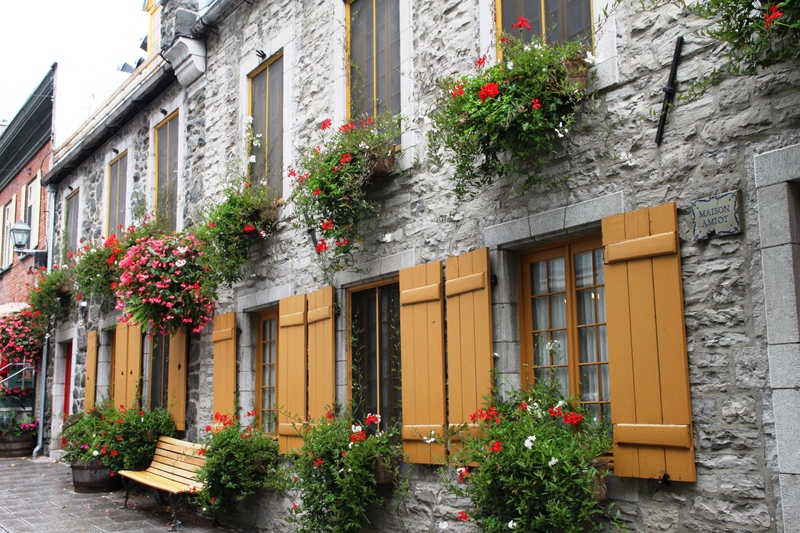 Nestled near the Saint Lawrence River, the Basse-Ville, or Lower Town, is the oldest commercial district in the New World. 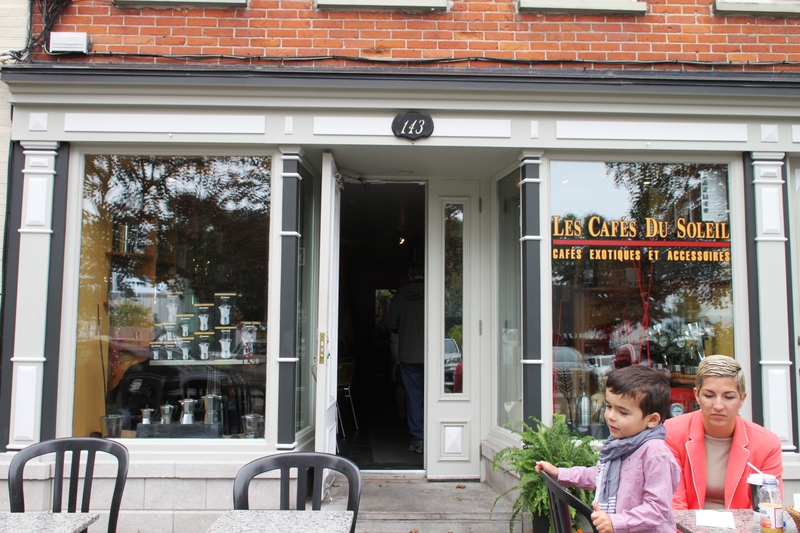 This is where you will find one of the prettiest neighborhoods, le Petit Champlain, home to our favorite breakfast stop as well as many charming boutiques. (There are also a vast number of tacky T-shirt and souvenir shops, but they’re rather like fruit flies – pesky and prolific, and drawn to the sweetness of tourists’ wallets.) 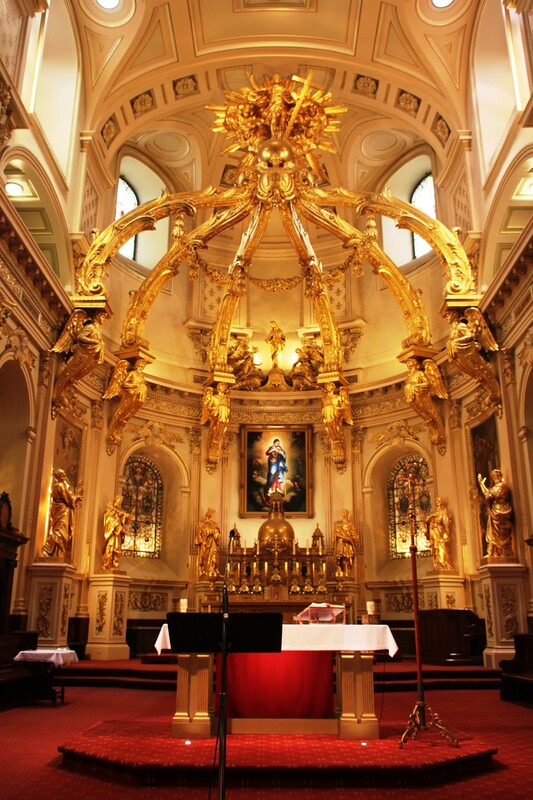 You will also find the historic l’église Notre-Dame-des-Victoires (the church of Our Lady of Victories) on the Place Royale, the port, and a highly detailed mural of the history of the city. Also in the Lower Town, but on the other side of the promontory facing the port is rue Saint-Paul. We liked it’s slightly bohemian flavor of independent coffee shops, antique shops, and artisans’ boutiques. The Upper Town, or Haute Ville, was always the governmental and administrative hub of the city, due to its strategic perch high above the river. 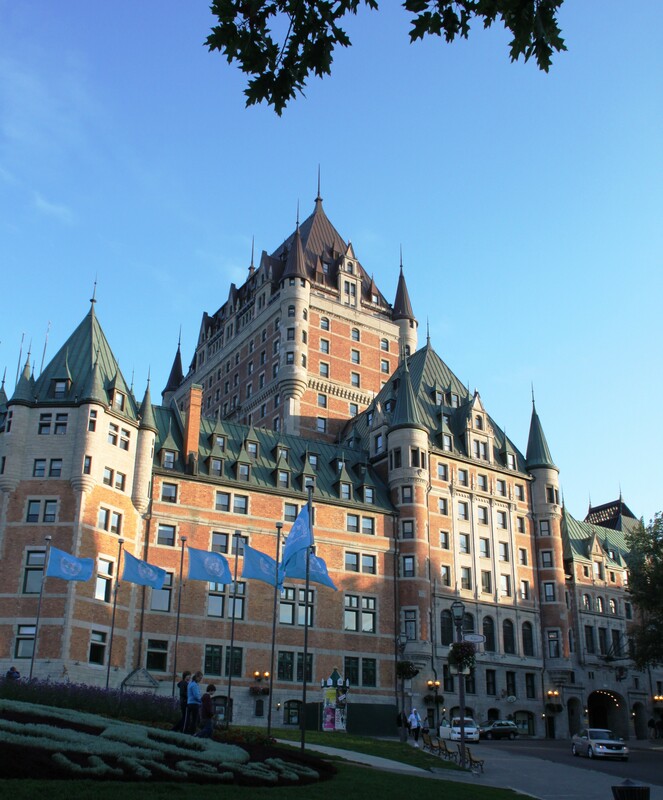 Probably the most famous and recognizable building in the city is the imposing Chateau Frontenac, a rather splendid historic hotel. I’ll talk about it in detail another day. The Terrace Dufferin is a broad boardwalk in front of the hotel that provides a wonderful vista over the river. Near the Chateau, on the other side, is the basilica Notre-Dame de Québec. Around each corner, in fact, there is a pretty streetscape, a charming shop, or an enticing restaurant. Whether you visit in October for the fall color, in February for the festivities of Carnaval, or in summer to enjoy the long days before watching the moon rise over this 405-year-old city, I’m sure you’ll be as enchanted as we were. 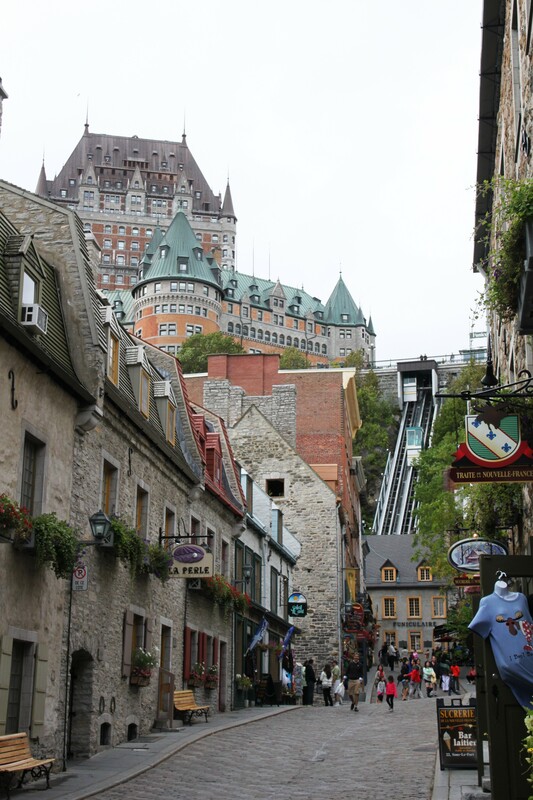 This entry was posted in Travel and tagged Breakneck stairs, Château Frontenac, l’Escalier casse-cou, Old Quebec, Petit Champlain, Place Royale, Quebec City. Bookmark the permalink. Pingback: Se reposer sur ses lauriers | One quality, the finest.